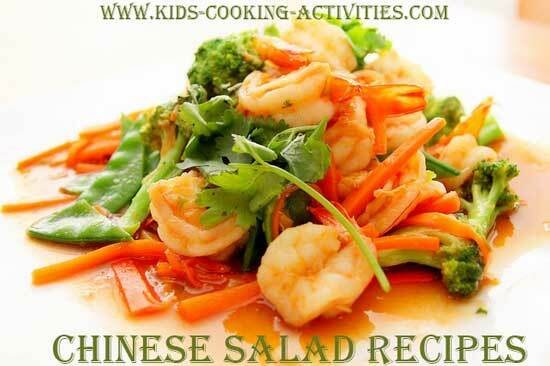 Each of these Chinese salad recipes have 6 ingredients. You can make an Asian dressing to go with it (recipe included) or use a ready made dressing instead. Share your favorite Asian salad recipe below. Mix together, pour dressing and toss to coat. Serve immediately. Combine in saucepan and bring to a boil, cook and stir 2 minutes. Assemble salad but only add wontons just before serving. Toss with dressing. Serves 10-12. Mix dressing ingredients in a jar or measuring cup. Chill until ready to serve. 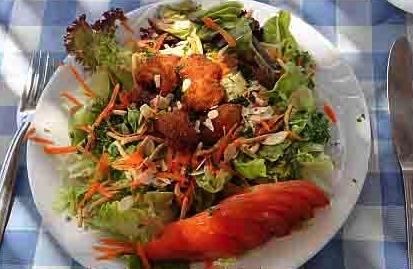 To prep salad, toss greens in a serving bowl, add onion, oranges and almonds. Serve with dressing but don't pour dressing on until ready to serve. 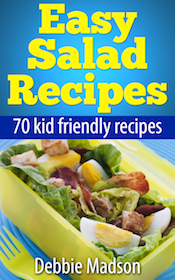 See more cold salad recipes from these Chinese salad recipes.